MERCEDES — Kara Martinez strolled confidently into the arena with her Charolais cross heifer, the animal steady and solid at her side. 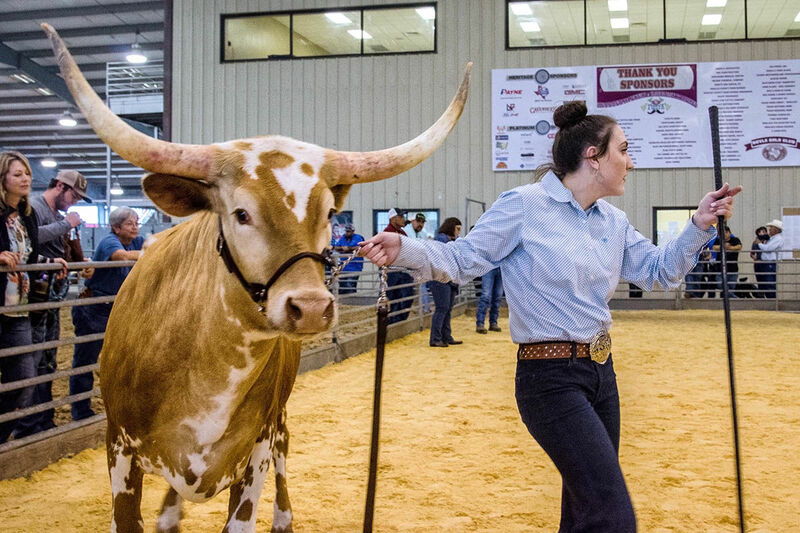 Kara, 17, and her heifer had spent so many long hours working together they won the middle weight champion division of the All Other Breeds category in the Rio Grande Valley Livestock Show. She said her Charolais’ “big bones” made her stand out from the others. “The judge said she’s got some really good lines and she’s sound,” Kara, a member of the Rio Hondo FFA, said as she grasped her blue ribbon. All Other Breeds is a rather curious division in which ranchers and agriculture students can select the best qualities they’re seeking to produce the kind of animal they want. How about a prime chest cavity? Go through the breeds and pick out what you want and you’ve got the heifer you want — maybe. It didn’t quite work out that way for Javier Medina, 15, a sophomore at San Benito High School. His Angus and Simbrah mix, although well-behaved and good in appearance, didn’t do as well as he’d hoped. He was also showing a pig. He’s shown Simbrahs in the past and planned to do so again, but he also wanted to give the All Other Breeds another try next year, for nothing else than accepting a new challenge. Kara has been showing animals at livestock shows for three years. She looked admiringly at the Charolais who’d just won her a blue ribbon and some money for college. “They are very feminine heifers,” she said. Her uncle Joel Martinez appreciated the life lessons the livestock show has taught her. “She’s getting a good foundation for a career path,” he said.